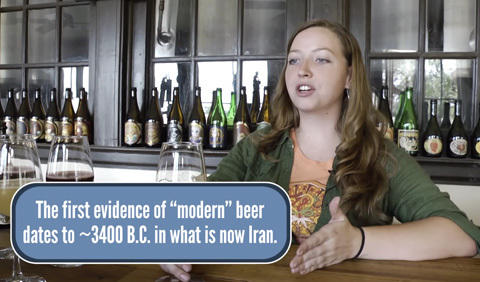 The video looks at the science that goes into making beer—a process that’s been around for over 5,000 years. 1.) Grains like barley and wheat are malted: steeped, germinated, and dried. 2.) The product is then soaked in hot water so that sugars are released, resulting in wort. 3.) Flavors are added as the wort is cooled and added yeast turns the sugars into ethanol and CO2. 4.) More sugar and yeast are added to carbonate the product within a sealed container. The video includes a tour of Austin’s Jester King Brewery with brewer Averie Swanson. 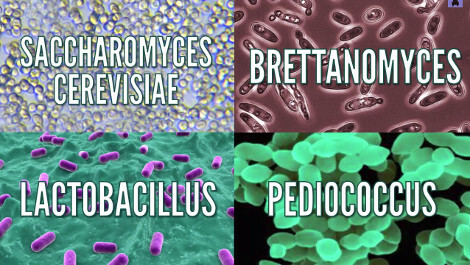 Most people know generally how beer is made (grains + hops + yeast + water = alcohol + CO2), but the kind of beer that they make at Jester King takes that one step further. Swanson calls beer “the ultimate intersection between science and art,” and explains why beer’s long history and mind-altering capabilities make it so appealing to humans.